The top hand transfers power generated from your core to the point of contact and plays a vital role for a “hands inside the baseball” swing. 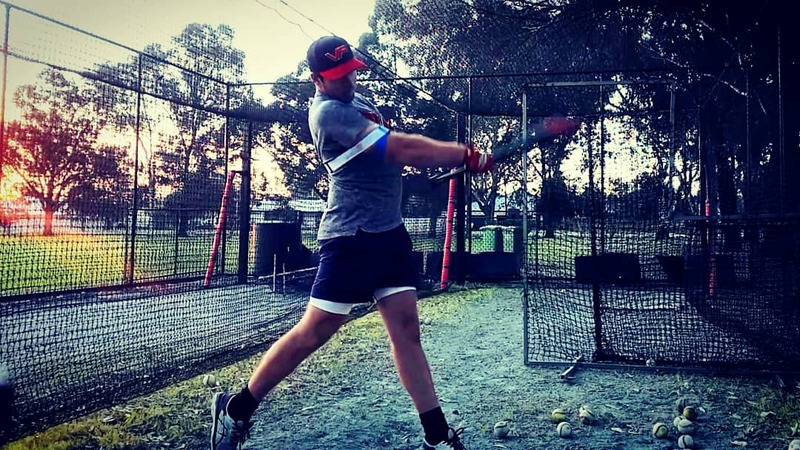 Top hand hitting drills are an essential part of an overall hitting strategy. Training a short, compact swing, while strengthening the forearm to improve bat speed and power; critical for a hitter with weak top hand. Increase strength and power due to an increased workload for each hand, mainly when a hitter uses a heavier bat than he uses on game day. Expose swing weaknesses, such as the most common hitting flaws of rolling over and pulling off the baseball. Creates a balanced swing, as opposed to one hand dominating the other. Encourages the importance of hitting the ball with backspin. Trains a relaxed grip, preventing “muscling up” with your swing. Learn how the body works together in the swing, relating to top hand and core power. Trains a short path to the baseball, increasing bat speed. Grip the bat 6 inches from the knob. Place the other hand on the opposite shoulder to avoid hitting yourself with the baseball bat. Start with the top hand as close to your torso. Ensure your back eblow is lowered and relaxed. Keep the grip nice and loose; a tense grip will slow down the baseball swing. Players fear to let go of the bat if they do not grip it tight enough. However, you’ll naturally tighten your grip on contact. Initiate your swing with a slight inward rotation of the front knee, which can be a leg kick, toe tap or toe pick up. The inward rotation of the front knee generates the necessary back rotation of the hips. The energy generated from the rotation of the hips transfers power at contact. Minimize head movement for your entire swing, including the follow through. Avoid rolling over, either at or before the point of contact; this will cause the hitter to hit a weak ground ball. Roll the bat after you make contact and feel pressure on your rear shoulder. Aim to hit the ball up the middle or pull-side alley. 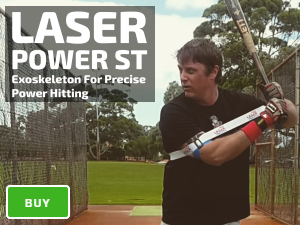 Combine this hitting drill with rounds of Laser Blast and Laser Whip Side Toss, and you’ll notice a significant increase in bat speed and power. 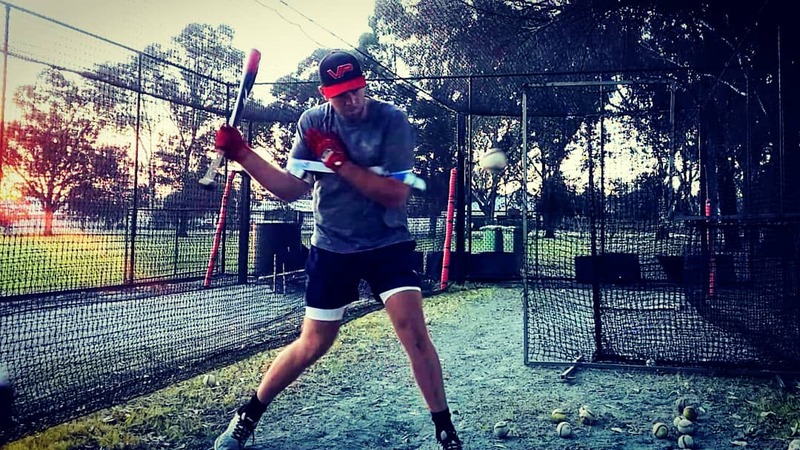 Do not allow one hand to dominate your swing, both work together to generate power. If you’re top hand dominant player, train to improve your bottom hand; bottom hand dominant players work to strengthen your top hand. Note that one-handed drills will vary in difficulty depending on which hand the hitter throws with and which side of the plate he hits from. WHICH HAND IS THE TOP HAND? Left-Handed hitter: top hand is the left hand. Right-Handed hitter: top hand is the right hand. Right-handed hitters who throw with the right hand. Left-handed hitters who throw with the left hand. Left-handed hitters who throw with the right hand. Right-handed hitters who throw with the left hand. The top hand plays a crucial role in keeping the hands inside the baseball, transferring power generated from your core to your swing.